You can use this as a class decoration. It only takes about 10 minutes to make it with your esl kids and it is great fun for them. 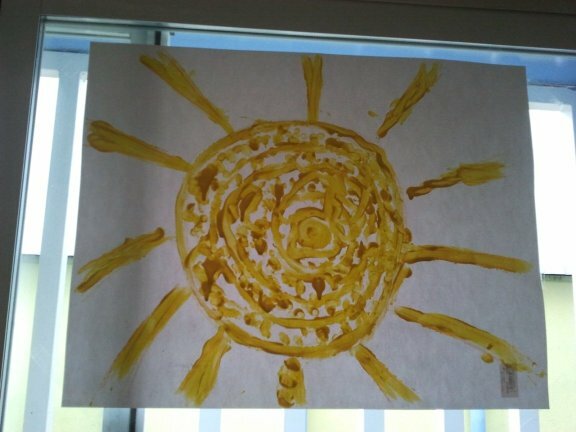 As they can use their fingers to paint the middle of the sun. You might want to do this activity as a part of the weather topic or if you have very young kids you can even do it when you teach them the colours.